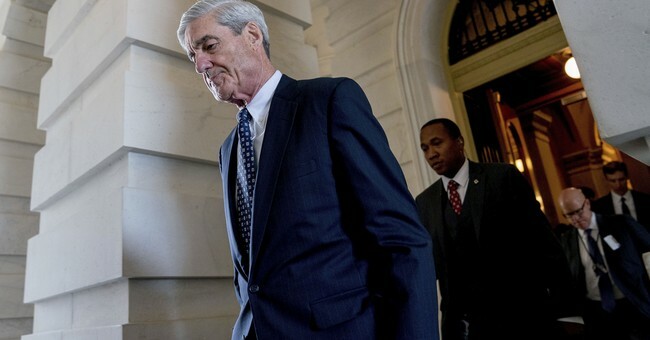 This is where we came in, and where we left -- the scene in which a special prosecutor, also known as an independent counsel, brings charges against a high-ranking politician or two. The criminalization became a familiar and odious feature of the day's news just a couple of decades ago and now it's back. Does anybody else remember how Kenneth Starr rampaged through this state's and the nation's politics? Before he was through, he'd left behind a trail of damaged reputations and lives, all done under the Ethics in Government Act that had been passed in over-reaction to the Watergate scandals. So it shouldn't have surprised when a front-page headlines announced that Special Prosecutor Robert Mueller's Russia probe had snared former Trump aides. Why, sure. That's what prosecutors, special or not, do: They prosecute. They snare. And they've got virtually unlimited funds to spend doing so, thanks to the American taxpayer. Yet they remain only theoretically accountable for what they do. For the Constitution provides legislative, executive and judicial branches but makes no mention of a hazy, indeterminate branch of government called special prosecutors. Because ours is a system of checks and balances, not one in which roving prosecutors are given free rein to go after targets of opportunity even if that means making law instead of following it. And the opposition can be expected to respond in kind. Just as the investigation of Watergate led to the investigation of Iran-Contra. And now the investigation of this president's aides will lead to the next scandal. Because independent prosecutors seem to have as their motto Keep Busy -- and tend to build little Justice Departments of their own that morph into legal empires. Now is the time to short-circuit this pernicious process and return to simple law and order. A new round of investigations seems as imminent as it is ominous. Let's not act as if all this history taught We the People nothing and start talking about impeachment again. Better to pardon anyone connected with these latest scandals and start with a clean slate. Let's have Congress do any investigating necessary rather than these loose cannons dubbed special investigators and risk reviving this self-defeating cycle of investigations. So those who govern us will not forever be looking over their shoulders to see who's after them now. Various presidents in the past have had the courage to risk their popularity by issuing pardons all around giving the country time to let its political wounds heal, among them George Washington, Abraham Lincoln, Gerald Ford and Jimmy Carter. It was Lincoln who set the template for future acts of mercy -- and sound judgment -- when he declared his general amnesty of 1863, announcing that "I ... do proclaim, declare and make known to all persons who have directly or by implication participated in the existing rebellion, except as hereinafter excepted, that a full pardon is hereby granted to them ... upon the condition that every such person shall take and subscribe an oath" of loyalty to the Union. "Permitting the criminal law again to become a regular weapon in politics is more destructive of democratic government than ham-handed efforts by a foreign power to embarrass one or more presidential candidates. It is true that Washington's Augean stables need periodic cleaning, but it is Congress that should wield the shovels" -- and not all too special prosecutors.